One reason I really enjoy woodworking is because wood is very forgiving. I make a lot of mistakes when I’m working on a project, I know shouldn’t admit that, but I do. Even when I slightly mar a piece that was intended to be placed in the most obvious location, chances are there’s a way for me to fix it. So for someone who tends to be a little clumsy or maybe not even pay close attention to the little details (I’m doing this for pleasure 90% of the time so a little mental vacation is alright in the process) working with wood affords me a great deal of flexibility. However, there are components in my builds that need to be within a very tight range of measurement so they won’t cause a problem later down the road. In those situations I need a tool that I can rely on to give me accurate readings I can count on. One such tool I have my eye on as a strong contender to fill that need is Highland Woodworking’s Woodworker’s 6″ Dial Caliper. This is a machinist-quality 6″ dial caliper and it’s being called a “woodworker’s caliper” because it is calibrated in 64ths of an inch, with major divisions marked at 1/16, 1/8, 3/16, 1/4 and so on around the dial. In other words, increments most familiar to woodworkers. * Large 1-3/8″ dia. face, exceptionally easy to read. * Dimensions as small as 1/128″ are visible at a glance. * The inner scale reads in hundredths of an inch. * Scale on the bar is mm on top & sixteenths of an inch on bottom. Wood carving is a great way to have fun with woodworking. It provides the carver a chance to really express their artistic side and at the same time an appreciation of quality tools. Nothing is worse than carving a beautiful piece of wood and then discovering your blade can’t hold it’s edge long enough for a single shaving. That’s something you won’t have to worry about if you use a quality blade like those from Hock Tools. You already know Hock Tools makes some of the best plane blades so why wouldn’t they make equally amazing blades for other tools? The blades of these carving knives are made from Hock Tool’s high carbon steel, hardened to Rc62. That’s the same steel and hardness as their high-carbon knives and plane blades, but yet they’re easy to hone to the sharpest possible edge. 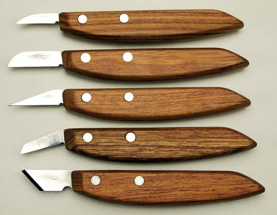 These particular models are made with bubinga handles, but if you want something different why not make your own? Imagine carving knives customized just for you, by you? 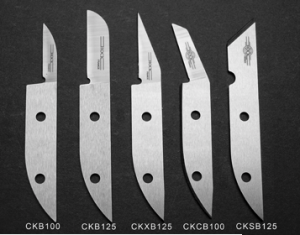 Hock Tools offers the same blades, just naked and waiting for you to dress them up as you see fit. Those Hock blades are sweet! I have one of his Krenov-style blades for a wooden hand plane that I am making and it is simply great workmanship. Since I am into carving, these blades might make a nice project down the line. Keep those great tips coming. 30 clams for a knife blade? I’m sorry but that is outrageous when I can go to just about any garage sale and pick up an old knife for 50 cents then grind it however I want to. Now before you say but oh the steel won’t be as good let me point out that 3 I’ve gotten are Henkel knives, two of them cyro treated even! Quite possibly the greatest steel ever made by the human race. 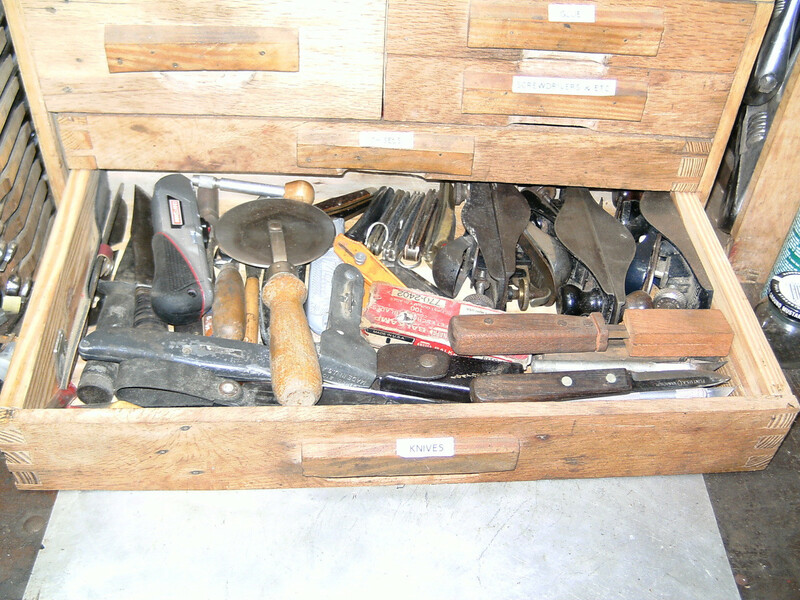 Those are in a drawer in the kitchen but others I mess around with in my garage. I’ll let the blades speak for themselves. The Hock plane blades I own are worth their weight in gold as far as I’m concerned, so I think the rest of his line up would be too. BUT…if someone can find an old blade that’s worth grinding and honing at a garage sale or such, who am I to say they shouldn’t go that route CHORTLE?? ?